So growing up The Care Bears were one of my favorite cartoons. I had every stuffed animal that they made and the smaller hard plastic bears (action figures), which my parents have saved and my kids now play with them at their house. I was extremely excited to have the opportunity to recently review an all-new CGI animated series released. 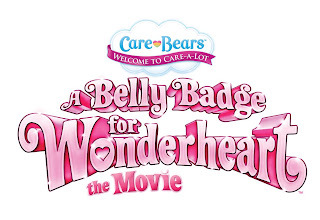 Care Bears: A Belly Badge for Wonderheart -The Movie became available August 6th, 2013 from Lionsgate Home Entertainment on DVD, Digital Download and Video On Demand. The synopsis says "In the magical world of Care-a-Lot, Wonderheart Bear wants to join the Cub Bouts, but it’s only for cubs with active Belly Badges. When she resorts to using the wishes from Care ‘n Share Charms to fake her powers, it leads to disastrous results. Her final wish accidentally lands her in the Moody Mountains in the center of a Stardust Storm! With the help of Grams Bear and her loving Care Bear friends, Wonderheart learns an important lesson about using the Belly Badge Beacon responsibly and discovers the joys of honesty and caring. " I had bought the original Care Bear Movie before I had kids, because I knew I would be having them one day. It has now quickly became one of their favorite movies and now they can't seem to get enough of the Care Bears. So when we were given the opportunity to review the Care Bear A Belly Badge for Wonder Heart DVD the kids were super excited. They sat and watched it very quietly, enjoying the Care Bears and their adventures. Recommendation: Both girls really liked this and it was finally something I could enjoy with them unlike all the other crappy cartoons they tend to watch. I think the colors and music is great for most any age and the price is pretty reasonable for this type of movie. Title Copyright: Care Bears™ and related trademarks © 2013 Those Characters From Cleveland, Inc. Used under license by Lions Gate Entertainment Inc. American Greetings with Rose Logo is a trademark of AGC, LLC. 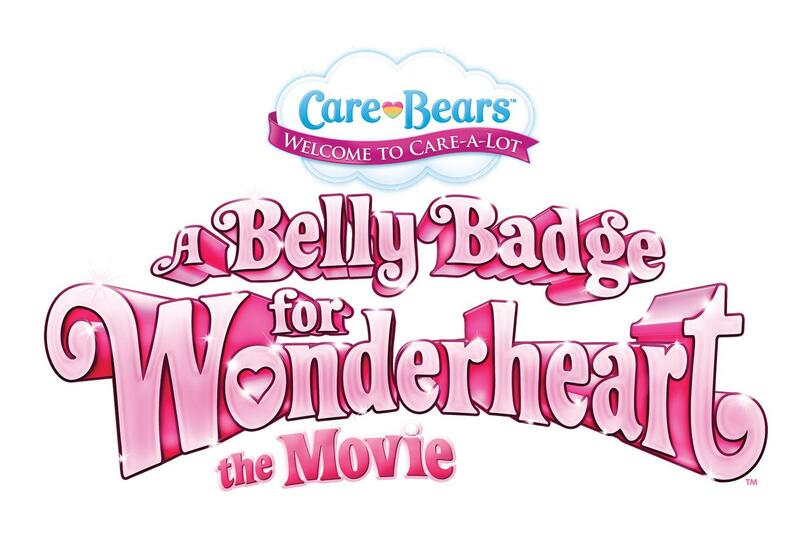 Giveaway: Lionsgate is going to give one of A Lucky Ladybug's lucky readers a Care Bears: A Belly Badge for Wonderheart -The Movie DVD of their own! I don't understand the mandatory comment since this giveaway doesn't seem to have a choice of packages.